Workshops allow you to deepen your understanding of a subject or technique, to connect with teachers and other students, to overcome challenges or obstacles, and to explore new subjects. 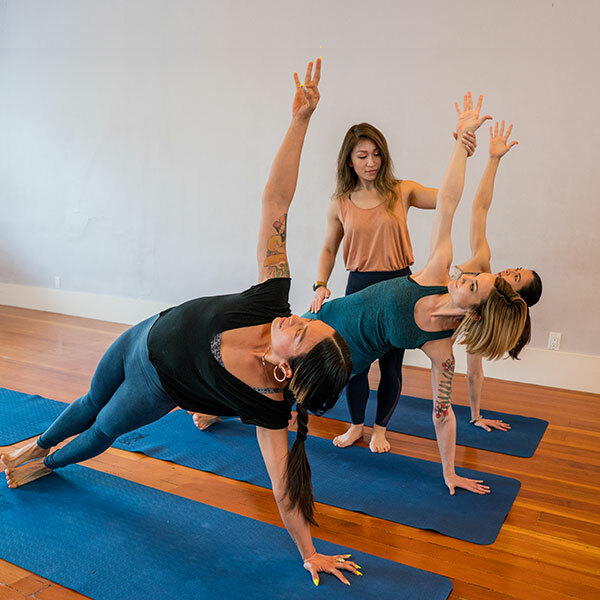 Most workshops also offer continuing education credit with Yoga Alliance, and apply as elective credit towards your 500-hour yoga teacher certification. Cancellation and Refund policy. Reservations for yoga classes may be cancelled online here or using the Yoga Garden SF App up to 60 minutes before the start time of class. If you miss the 60 minute window, you will forfeit your class payment, or be charged a $15 no show/late cancel fee. Reservations may only be cancelled online and will not be cancelled over the telephone or after the 60 minute window closes. You may withdraw from a workshop, retreat or teacher training without a cancellation fee up to 14 days prior to the start of a program; if you withdraw from a program less than 14 days prior to the start of the program, you must pay a late cancellation fee of 50% of the regular program tuition. Failure to participate (no-show) will be charged the late cancellation fee. Your satisfaction with product purchases is fully guaranteed. If you are not satisfied with an item that you purchased, you may return it within 10 days for a full refund.